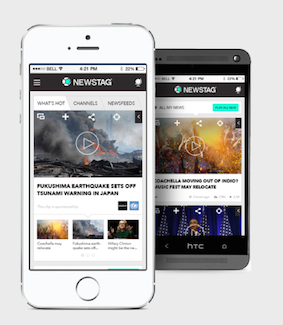 Stockholm-based crowd-curated news service Newstag is to launch a new Arabic service, providing a stream of video news stories each day covering international and regional news, culture and entertainment. Newstag Arabic will feature professionally produced news content from suppliers including the Associated Press, AFP and Euronews. Talks are also taking place with prominent news providers from the region, according to the company. The service is being marketed on Facebook ahead of its launch. “Currently 60% of existing Newstag users are based in the MENA region which is what prompted us to set up Newstag Arabic. 6% global population live in the Middle East and yet the region accounts for only 0.6% of the global advertising market. We believe there is potential for enormous growth in the coming years,” said Newstag co-founder and CEO Henrik Eklund.